Medical malpractice lawyer Lynn Harris in Utah won a $1.7 million verdict on behalf of a northern Utah client against a rural hospital and its emergency room nursing staff. The client had gone to the hospital for treatment of an infected little toe and became a victim of medical malpractice. She received a tetanus shot, which caused severe and permanent personal injury to her sciatic nerve in her right leg and buttock. This was a medical malpractice claim, which was forced to trial by the insurance company for the hospital. Recently, the Idaho Supreme Court upheld the jury verdict, and the hospital ultimately paid out over $2.1 million to the personal injury client. Medical malpractice lawyer Lynn Harris in Utah can help other personal injury victims seek justice. [In addition to this case, we have represented numerous clients for many types of personal injury and wrongful death claims caused by medical malpractice in the Utah area. (See below for discussion of birth injury to infants.) Medical malpractice lawyer Lynn Harris in Utah has represented families who have lost children and/or parent(s) to acts of medical malpractice, personal injury and wrongful death. A medical malpractice lawyer can represent individuals who have been left with scars, serious injury, physical impairments, or disability that resulted from medical malpractice. Utah Auto Accident Lawyer Lynn Harris won a $1.3 million verdict on behalf of a wife, mother, and nurse residing in northern Utah who was in an auto accident. While the client was stopped in traffic, she was struck from behind at a high rate of speed. The force of the auto accident caused the wrongdoer's Honda to become wedged under the client's explorer. The personal injury client had immediate pain in her back and neck and was seen by her local physician after the auto accident. Her condition worsened over time and resulted in a weeklong hospitalization in Odgen, Utah. Ultimately, she was referred to the pain clinic at the University of Utah, where she still is undergoing life-long care and treatment due to the auto accident. The personal injury the auto accident victim suffered required her to cut back on her nursing and administrative duties and required her to work only part time. She was and is in the need of constant pain medication and other pain syndrome therapies. Utah auto accident lawyer Lynn Harris can help victims that have suffered a personal injury due to someone else's carelessness. Personal injury experts from the pain clinic testified as to the seriousness and permanence of her chronic pain condition. In addition, a vocational rehabilitation expert testified as to her work limitations and her lifelong medical needs that were a consequence of the Utah auto accident. Finally, an economist detailed to the jury the exact losses and costs associated with her injuries. Prior to trial, the insurance company State Farm only offered a minimal settlement amount to Utah auto accident lawyer Lynn Harris and his personal injury client. 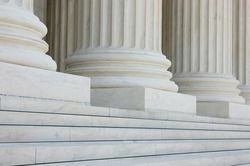 The Utah auto accident case was tried to a jury in Box Elder courthouse for two weeks with past and future medical costs, and pain and suffering, awarded to the plaintiff. The verdict was affirmed on appeal, and was collected with interest. Utah auto accident lawyer Lynn Harris can help personal injury victims with their legal needs. While living in the Salt Lake City, Utah area, Chris became a victim of medical malpractice under the care of her family practitioner for her pregnancy. Toward the end of her pregnancy, she began to have significant bleeding complications, which were ignored by the doctors and the labor and delivery nurses, resulting in medical malpractice at a large Salt Lake County hospital in Utah. There were significant delays in the diagnosis and treatment of the life-threatening complications to both mother and infant at the Utah hospital. The delays resulted in medical malpractice due to the long period of hypoxia/anoxia (loss of oxygen to the infant during the delivery process), which ultimately resulted in severe brain injury to the infant Nicole. Medical malpractice lawyer Lynn Harris in Utah can help those that have been victims of medical malpractice. Legal medical malpractice claims were commenced on behalf of the infant Nicole and her mother Chris. A significant medical malpractice settlement was received from the insurance carriers for the doctors, nurses, and hospital involved in the care of the mother and her infant in Utah. A medical malpractice lawyer can help those that feel they have a medical malpractice case. A young mother became a victim of medical malpractice under the care of a local obstetrician, while living in central Utah. Her pregnancy was routine and uneventful. However, at the time of the delivery, the doctor utilized delivery forceps in such a manner as to cause injury to the skull of the infant, bleeding in the brain, and consequential brain damage to the infant. Medical malpractice lawyer Lynn Harris in Utah can help clients fight for justice in medical malpractice cases. A medical malpractice claim / action was brought against the local doctor and the hospital in Utah for misuse of the forceps in the delivery of the infant. A very significant medical malpractice settlement was received from the two insurance companies representing the doctor and the hospital. The settlement provided for ongoing payments for the life of the infant. The proceeds went to compensate the child for future medical needs, educational needs, and loss of income due to the brain injury and brain hemorrhages that resulted from medical malpractice. Lynn C. Harris has the legal expertise to help medical malpractice clients win their cases. While living in northern Utah, a mother of three became a victim of medical malpractice under the care of a local obstetrician and delivered her fourth child at the local hospital (a member of a large chain of hospitals in the intermountain area). During the labor and delivery process, she was placed on the uterus stimulator drug "pitocin," a common culprit in medical malpractice cases. Despite complications from the drug pitocin, in the face of an arrest (stopping) of the labor process and distress to the infant / fetus, the drug was allowed to be continued and was, in fact, increased in dosage. This incident of medical malpractice in Utah ultimately resulted in the uterus being over-stimulated and led to a large rupture or tearing of the uterus. This was a life-threatening medical complication to both mother and infant. The ruptured uterus that resulted from medical malpractice necessitated an emergency C-section and resuscitation of the newborn infant. This series of medical malpractice events caused a hypoxic / anoxic episode (lack of sufficient oxygen to the baby), which caused significant and permanent brain injury to the infant / child Jordan. Those that have been a victim of personal injury can contact medical malpractice lawyer Lynn Harris in Utah to seek compensation. A medical malpractice claim / action was commenced against the local obstetrician and the large hospital chain in Utah for their fault and actions, leading to the ruptured uterus and the resulting injury to both infant and mother t hat were caused by medical malpractice. A significant medical malpractice settlement was reached on behalf of both the infant and the mother. The settlement was received from the insurance companies representing the doctor and the hospital responsible for medical malpractice in this action. The proceeds of the medical malpractice settlement provided for lifelong payments to the infant and his family to provide the necessary medical care, therapy, education, operations, and compensation for the loss of income resulting from his brain injury caused by medical malpractice. In addition to proceeds for the child, the mother also received a significant medical malpractice settlement. The exact terms of the settlement are confidential. While living in rural southern California, a mother and client became a victim of medical malpractice under the care of a local obstetrics physician. Her pregnancy was normal and routine, without undue stress on either the mother or the baby. Stage one of labor was completed without any complications. The very minute that the mother was dilated to '10', the physician placed forceps on the head of the child and pulled the child out, an act that would cause medical malpractice lawyer Lynn Harris of Utah to file a medical malpractice claim. Later, the mother learned that the physician had a very long day and was late for an appointment, and thus he expedited and hurried the labor and delivery process. Shortly after the baby was out, the nurses noticed that both of the baby's ears had nearly been torn off by the application of forceps! As the obstetrician attempted to sew the baby's ears back onto her head and cover up the medical malpractice, the nursery nurses intervened and called the pediatrician to stop the obstetrician's attempts to fix the medical malpractice injury. The nursery nurses and attending physician facilitated an immediate transfer to a nearby pediatric hospital. While in the hospital for a month because of medical malpractice, the baby was noted to have bleeds in the brain, seizures, and a plastic surgeon reattached the baby's ears to her head. For those that have suffered through a medical malpractice tragedy, medical malpractice lawyer Lynn Harris in Utah can help. Despite the outrageous nature of the facts and injuries in this matter, the insurance company forced the matter to proceed to one month before the medical malpractice trial. Finally, the insurance company offered sufficient monies to resolve the medical malpractice case short of a jury's verdict. The medical malpractice case involved the expertise of one of the nation's leading pediatric neurologists, together with a pediatric physiatrist, a vocational rehabilitation expert, and economists and obstetrician's opinions. The baby and her family now have adequate funds to treat her ongoing problems resulting from medical malpractice with both medical and education experts and funding. Medical malpractice lawyer Lynn Harris of Utah can help those that have been victims of personal injury or medical malpractice. While living in rural Idaho, the client became a victim of medical malpractice under the care of an obstetrician in Idaho Falls. She had a normal and routine pregnancy. As the date of delivery came closer, the physician decided, for his own convenience and not due to any medical reason of the mother or baby, to expedite the delivery and induce labor. This decision resulted in a medical malpractice case for lawyer Lynn Harris in Utah. The induction worked, and the mother progressed through stage one of labor without any abnormal stress on either the mother or the baby. But at the time the mother became fully dilated, the physician had a scheduled surgery to perform in the same hospital. Rather than wait for nature to take its course, the physician - within only a few minutes of stage two of labor - placed forceps on the baby's head and pulled the baby out of the birth canal, an act that was medical malpractice. At the time the obstetrician placed the instruments on the baby's head, the baby and mother were not in any distress and were 100 percent healthy. The baby's head, eyes, and ears were injured due to medical malpractice by the instrument / forceps delivery. The baby's eyes were swollen shut and suffered long-term nerve damage. In addition, there were bleeds in the brain caused by medical malpractice and the forceps application. The baby boy is now age five. He is suffering from cognitive and behavioral difficulties and will require extended tutoring and medications through his education because of medical malpractice. Medical malpractice led to extensive injuries to his eye muscles, making it very difficult to focus and see as a normal child. He will require numerous surgeries on both of his eyes to try to make him as functional as possible under the circumstances. Shortly before trial, the hospital and physician's insurance companies settled and resolved the medical malpractice matter with the family of the baby boy. He now has sufficient money to have access to all of the educational tutoring he needs and the eye surgery from the very best eye physicians. If you feel that you or a loved one has suffered through medical malpractice, a lawyer can help. Personal injury and medical malpractice lawyer Lynn Harris in Utah has the deep understanding of the legal field that will help clients win their medical malpractice case. A young mother of one became the victim of medical malpractice under the care of a local obstetrician, the local hospital's labor and delivery nurses, and personnel while residing in rural Utah. She had undergone care and treatment from the same individuals for her prior complicated labor and delivery. She began to experience episodes and symptoms of "pre-term" labor and had numerous and repeated visits to the labor area of the local hospital. Despite a complicated prior history and a very complicated ongoing medical problem, the local doctor committed medical malpractice by failing to refer her to the necessary specialists to aid in the anticipated difficult delivery, or to provide immediate and emergency pediatric care and resuscitation to the premature infant. Medical malpractice lawyer Lynn Harris in Utah can help in these situations, with his extensive legal knowledge of personal injury and medical malpractice law. At 30 weeks along in her pregnancy, she again reported to the hospital and the local doctor. Once again, despite medical signs and complications, no referral or transfer was made for the mother and infant, resulting in a medical malpractice case. She delivered later that day without the necessary facilities or personnel to care for a 30-week premature infant. The infant was immediately transferred by life-flight to the nearest properly equipped facility, staffed with medical specialists. Despite all efforts at the new locale, the infant suffered two large brain hemorrhages because of medical malpractice, resulting in brain damage and injury. A medical malpractice action was commenced against the local doctor and the local rural hospital chain. The medical malpractice action was based on the doctor's and nurses' failure to recognize the seriousness of the condition of both the mother and infant - and thus, the failure to transfer care to a larger and better-equipped hospital to deal with the inevitable pre-term delivery of a premature infant. Medical malpractice lawyer Lynn Harris in Utah can help personal injury and medical malpractice victims receive the restitution they deserve. A significant medical malpractice settlement was received from the insurance companies representing the two health care providers. The proceeds of the medical malpractice settlement provided for life-long payments to the infant and his family to provide the necessary medical care, therapy, education, operation costs, and compensation for the loss of income resulting from his medical malpractice brain injury. Personal injury and medical malpractice lawyer Lynn Harris in Utah can help you win the compensation you deserve as well. For more information on this and other cases, contact our practice. An experienced welder was working on a very large mechanical boring machine in a steel fabrication plant where he became a victim of personal injury in Utah. After completing a welding task on a scaffolding platform 16 feet above the ground, a supervisor for another employer pulled a wrong lever, which operated the machine in such a manner that the welder was struck and knocked off the scaffolding to the ground, a nd suffered serious personal injury. The multiple serious injuries required lengthy medical treatment and resulted in permanent loss of his ability to be gainfully employed in the future due to the personal injury he acquired in Utah in a workplace accident. Personal injury attorney Lynn Harris can help clients receive compensation for such accidents. In addition to seeking Workers' Compensation from his own employer - the client filed a legal claim/action against the other employers on the project (a "third party action") based on the other's fault and actions leading to the client's personal injury he suffered in Utah. A personal injury settlement was reached with the insurance companies for the employer of the supervisor who pulled the wrong lever and caused the multiple injuries to Ken. The personal injury settlement was for a very substantial amount (the terms of the settlement are confidential) and provided for the welder's future medical needs and compensated him for his loss of income and wages, as well as for his pain and suffering following his personal injury in Utah. Magic Valley Region Medical Center (hospital) appealed the judgment in a medical malpractice case. The jury awarded the plaintiff, medical malpractice victim Pauline Collins Perry, $1.55 million in economic damages and $150,000 in non-economic damages for injuries to the sciatic nerve sustained from an injection that a hospital nurse administered to Perry's gluteal area. In a decision released today, the Idaho Supreme Court affirmed the district court's judgment on this medical malpractice case. Perry visited the hospital's emergency room in June 1994 for an infected cut and unwittingly became of the victim of personal injury through medical malpractice. The emergency room physician ordered treatment with two tetanus shots. An emergency room nurse administered the injections. The hospital claimed that the shots were administered appropriately in the hip area, but Perry claimed the shots were administered in the middle of the right buttock, an act of medical malpractice causing personal injury to her sciatic nerve. A neurologist later diagnosed right sciatica as a result of the Hyper-Tet injection and medical malpractice. In succeeding years, Perry had six surgical procedures to control pain, had an electrical device implanted in her abdomen to control pain, and had incurred $119,000 in medical expenses. For victims of personal injury, medical malpractice lawyer Lynn Harris in Utah has the expertise to win a case. The hospital asserted that the trial court erred in many of its rulings in the medical malpractice case, allowing or excluding evidence and witnesses. The hospital also contended that certain jury instructions and the special verdict form were erroneous. In addition, it asserted that the trial court erred in awarding certain costs to Perry. The Idaho Supreme Court held that the trial court had not abused its discretion in any of the disputed evidentiary medical malpractice rulings. The Court also held that the jury instructions and special verdict form were not erroneous. The Court remanded to the trial court for express findings or disputed discretionary costs and for a reduction of $489 in costs as a matter of right. If you or a loved one has been the victim of personal injury, medical malpractice lawyer Lynn Harris can help. While driving home from work, a husband and father of four little girls was killed in an auto accident in Provo, Utah. A large lumber company delivery truck failed to yield the right-of-way and pulled out in front of the client's vehicle. This act ultimately caused a rollover auto accident, which resulted in the death of Terry. A significant auto accident settlement (the exact amount is confidential) was obtained for the surviving family members of the auto accident victim from the insurance company for the lumber truck and driver. The auto accident settlement provides for guaranteed payments over the lifetime of the surviving spouse and payments to the children in the years to come. Auto accident lawyer Lynn Harris of Utah can help clients receive just compensation. [In addition to the above, we have represented numerous clients who have been injured in auto accidents that are the fault of others. This would also include clients injured in auto accidents by large semi-trucks and trailers on the highways of Utah]. A mechanic was employed at a large government construction project in the winter months when he suffered a personal injury. While providing needed mechanical service on a Canadian manufactured space heater - with the machine turned in the "off" position - the machine's large 16-inch fan was activated without warning or by any act of the mechanic, causing personal injury. The large fan sucked the mechanic's hand into the machine, tearing off his glove and removing portions of two fingers on one hand. The personal injury and product liability claim was brought against the heater manufacturer for faulty design, testing, and manufacture procedures. The machines were the subject of a recall, and modifications were made to the design and testing procedures. A significant personal injury and product liability settlement was received on behalf of the client from the insurance company for the Canadian manufacturer. If you or a loved one has been the victim of personal injury, contact our practice today.